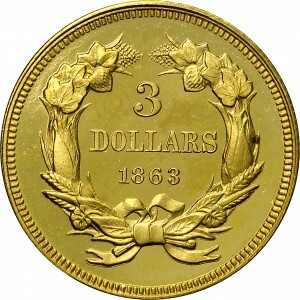 The same obverse die for Proof 1861 and 1862 three-dollar gold coins remained in use for the 1863 issue. 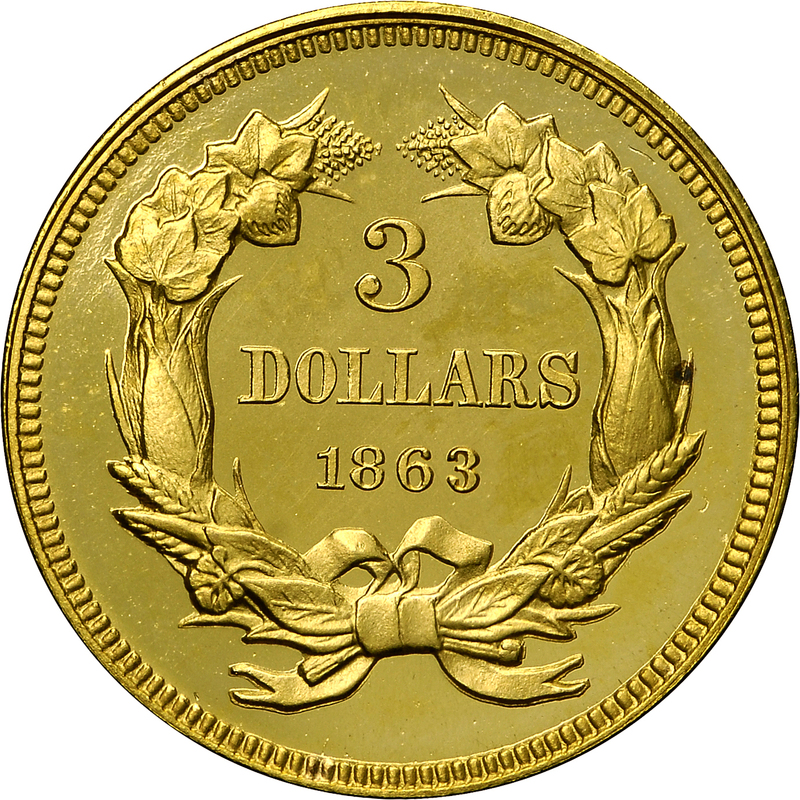 Just 39 proofs were struck on March 23, 1863, with possibly 10 to 12 survivors, including examples in the American Numismatic Society and Smithsonian Institution. This issue continues the trend of low overall mintages with just 5,000 circulation strikes produced. 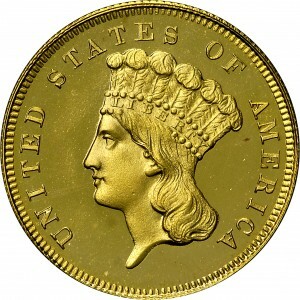 This gem Proof is another example from the Bass Collection that qualifies as one of the finest known. From Stack's sale of the DiBello Collection, May 1970, Lot 761. 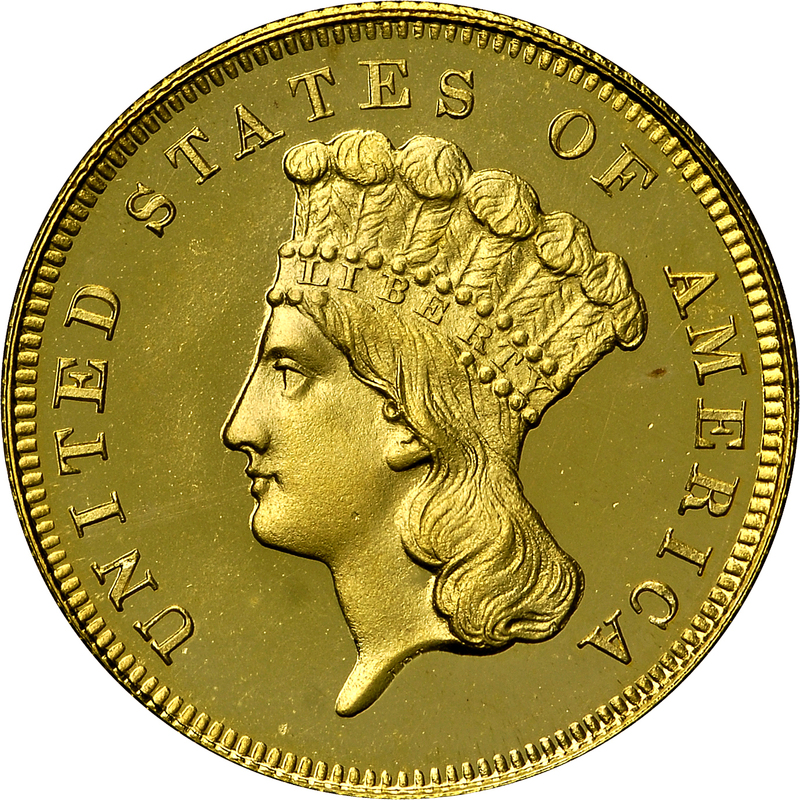 (adapted): "Obverse: That of 1861 #1 Proof. Moderately hubbed head. Reverse: Date even and a bit low of being centered. 6 a bit right of being centered under L. New Proof collar, sharply beveled edges."